Home Unlabelled "I'm Just Not Very Good With Technology" Is No Longer an Acceptable Excuse. "I'm Just Not Very Good With Technology" Is No Longer an Acceptable Excuse. We've all heard someone use the phrase. Perhaps you've even used it at one time or another. I've heard the phrase countless times during the five years that I have been an Integration Specialist. I'm tired of the excuse. It's 2015. Now, if it were 1989, it might be an acceptable excuse, but not any longer. There are some great ways to use the various technologies that we currently have available to us as educators to make our classrooms an even better place to work, play, collaborate and learn. When thinking of this whole issue, it makes me think of a teacher that just retired this year from our school district. Her name is Ms. Breese. She was an outstanding Family and Consumer Science teacher at Aurora Public Schools for 40 years. Yes, 40 years! That is simply amazing! I was really bummed the day that she came into my room to personally tell me that she was planning on retiring at the end of the school year. You see, Ms. Breese was what I would consider a "pioneer teacher" in our district in regards to the use of educational technology. She was a "pioneer" in the fact that she was a prominent teacher leader during our 1:1 iPad initiative. Ms. Breese used the iPad in so many creative, practical and engaging ways in her FCS classroom. She was always looking for ways to use the iPad and we had some great brainstorming and planning sessions together. Other teachers in our district could always count on Ms. Breese to have a great new idea on how to successfully use the iPad in the classroom. She was truly an asset to me as an integration specialist. I could count on her to share all of her great ideas with our other teachers! I loved her creative spirit and willingness to change things up in her classroom. 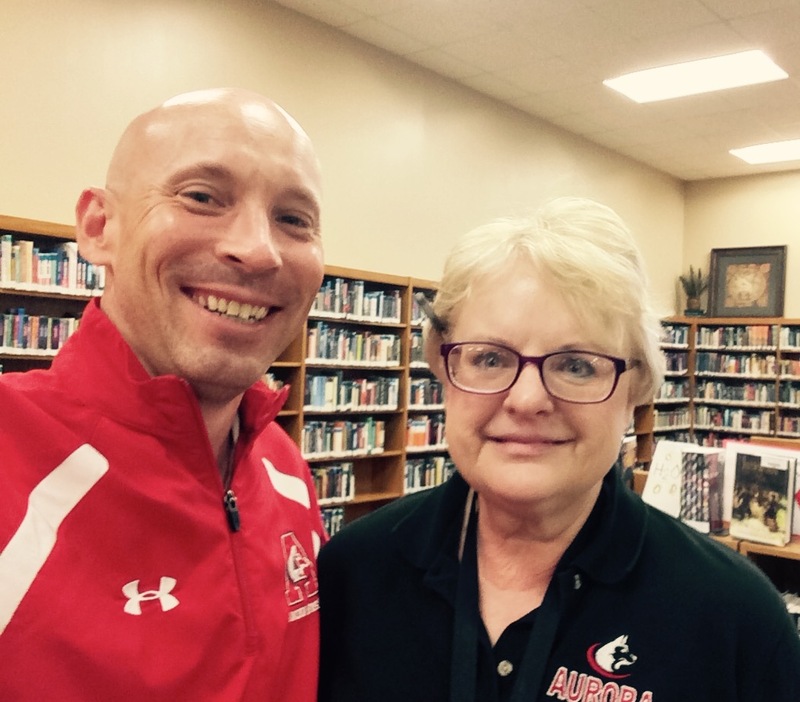 Ms. Breese had 37 years of experience when I started. When our school decided to proceed with our 1:1 iPad initiative three years ago, it would have been very easy for Ms. Breese to use the excuse, "I'm Just Not Very Good With Technology," yet she jumped on board the "tech train" from day one and was always looking for new and unique ways to better her classroom using educational technology. 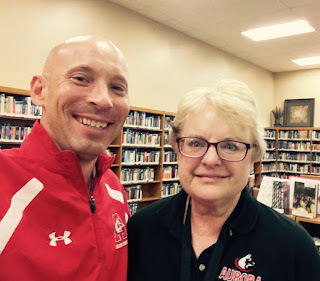 I vividly recall the day a couple of years ago that Ms. Breese came into my classroom and told me how using the iPad and other technologies in her classroom really had revitalized her passion for teaching. “It’s so much more fun,and there are so many opportunities” she recalled. I hated to see her retire, but really enjoy the fact that I was able to work with Ms. Breese for three years. Thank you, Ms. Breese for being a "pioneer!" And, THANK YOU to all of the other "pioneer" teachers that are out there reading this! I couldn't agree more with you Craig. I also think we miss a great opportunity by being tired. So how do we make teachers use technology? And what are we going to do if they refuse to implement technology as quickly as we think they should? And what about the kids who don't want to use technologies? What if our school doesn't have the technologies or the infrastructure to support massive implementation? I ask these because as a Middle Years teacher for 10 years and an administrator for 13 years who has overseen the implementation and adoption of different technology initiatives like distance education delivery, BYOD, iPads and other technologies during this time, such are realities that are faced each day and important questions to ask so that you have a plan. "We'll make them or We won't allow that as an excuse" doesn't work. You need a plan. I too have worked with teachers just like Ms. Breese, 30+ years of teaching and ready to try new things. I've also worked with new teachers who are incredibly resistant to using technology - they are afraid of "losing control of the classroom or just don't now how to integrate technology AND do their planning AND their assessment AND.... ". I've visited pre-teachers classes to talk about using twitter and technology only to be told that it's not really needed for learning. And that was this past year! What if you don't have an Integration Specialist, a Technology Coordinator or someone else to assist and help teachers on a regular basis? What is the plan for helping and assisting teachers who aren't comfortable with technology when there is someone who only visits the school once a month? What if there isn't technology available or, like in my last two schools in rural areas, there was all sorts of issues with bandwidth and other infrastructure? I agree, we need to get rid of the excuses, road blocks and other debris that is keeping schools from moving forward but it takes a great effort on the part of a few dedicated people to help make the transformation a reality especially when there is no "person" who has a title. When I hear "I'm not very good with technology" I don't hear a person not wanting to do something. What I hear is someone who has fears and doubts and needs support, who is not opting out but, in fact, letting you in on a little secret that they are interested but scared and afraid. My wife was that teacher. But now, over time, she has begun to use technology in different ways. She has ever presented on using eportfolios. It took time and support AND she will still tell you she isn't very good with technology but she uses it every day in many different ways. I'm not very good at art or drawing - it was my excuse for opting out of visualization but then I took the bold step after listening to Sunni Brown's TED talk and started doodling and reading about Sketchnotes. I'm no master and I'm still afraid my work isn't any good. The same goes for blogging and so many other things that teachers are being asked to do and are trying. They are afraid and scared. We can't be tired of hearing them. After 20+ years of working with technology and technology implementation at all levels in schools, there are many things that I could be tired of. But that doesn't help those who are afraid or have self-doubt or scared or lost. Let's not do this any more. Let's not tell them how tired we are but instead tell them how much we want to help them to find ways to become better at integrating technology. We need to celebrate when people like Ms Breese continue their learning. And, when we hear "I'm not very good at...." let's step up and realize that we have a great opportunity to help them become the next Ms. Breese. One of my favorite teachers is a gently, older lady who teaches Kindergarten, yet is the first to embrace and use technology! It's not always easy for her but she tries and gets so excited when she has a new idea!